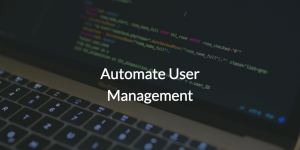 IT admins are looking to automate user management; it is no secret. User management has largely been a manual effort in a lot of ways for many years. When you add in the numerous types of IT resources that have emerged over the past 10 to 15 years, automation has only gotten more difficult. So, the question for IT admins is if there is a centralized way to enable True Single Sign-On™, or effectively one identity that connects users to virtually all of their IT resources. It’s funny, but you could say that in a lot of ways when the IT network was virtually all Windows® based, IT organizations were closer to an automated user management approach with Microsoft® Active Directory®. As a management system built on Windows, for Windows systems, for what were generally Windows-dominated shops, automation was something that Microsoft could embed and control. IT could connect their users to what they needed with little hardship. The IT landscape rarely stays static though. The resources of yesterday are not as widely used today, though. Now, IT environments are mixed platform environments comprised of Mac® and Linux® systems in addition to the Windows machines that have been in most organizations for so long. 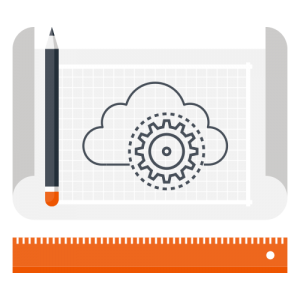 Infrastructure has moved off site with AWS® cloud servers and Google Compute Engine™ remote servers. Even productivity platforms have moved to the cloud with G Suite™ and Office 365™ shifting to the web browser. Web applications such as Slack, Salesforce®, and GitHub exemplify tools many organizations cannot work without and need to authenticate into every day. With each new addition, IT organizations had to effectively manage a number of mini-directories. And users had to remember a multitude of usernames and passwords. Of course, a manual approach such as this was time consuming and represented a security risk. That’s because users tend to experience password fatigue from identity sprawl which forces them to resort to recycling passwords, utilizing weak passwords, or writing passwords down on sticky notes and hiding them underneath their monitors. It is no surprise that 76% of employees report challenges relating to their password management. Thankfully, a solution has emerged that can centralize identities and securely connect users to their IT resources. It’s called JumpCloud® Directory-as-a-Service®, and it can help you get a hold of your identity sprawl challenges and automate your user management. With True Single Sign-On, users get one identity to access virtually all of their resources. So, with one set of credentials users can access their system (Mac, Linux, Windows), cloud infrastructure via SSH keys (AWS, GCE), productivity platforms (G Suite™ and Office 365™), file servers (Box™, DropBox, NAS/Samba devices) on-prem applications (Jira®, OpenVPN™), and much more. Further, JumpCloud users can reset their own passwords via the user console, or if they’re on a Mac system, via the System App that’s built directly into the menu bar. It is another way JumpCloud takes some of the burden of user management off IT admins and can help you increase productivity. If you’re ready to automate your user management and get rid of risky password practices once and for all, feel free to contact us today. Eager to test it out? Sign up for a free account today and manage up to 10 users for free, forever. Our free account is risk free and requires no credit card. Visit our blog, Knowledge Base, and YouTube channel for more information.